Pedro: from Spain to Chelsea. Chelsea was able to hijack Barcelona’s Pedro from Manchester United leaving them red-faced. How did they do it? Chelsea, while Manchester United was haggling with Barca, launched ‘Operation Pedro’, the move being masterminded by manager Jose Mourinho, director Marina Granovskaia, Cesc Fabregas and the midfielder’s girlfriend Daniella Semaan. Mourinho and Fabregas both speaking with the Spanish National Team’s forward directly. With this timely move, Chelsea’s rivals, Manchester United, was left red-faced by the dramatic Pedro heist. Pedro was offered £22million to move to Chelsea and was immediately flown to London from Spain on Wednesday to complete a medical, two days after Manchester United’s Ed Woodward (executive vice-chairman) left for the trip to Barcelona to try and close a deal for the FC Barcelona forward. But what Woodward did not know was that, while he was haggling with Barcelona, Chelsea had already started on ‘Operation Pedro’ by Granovskaia, who was already conducting secret negotiations with the Spanish club. Mourinho and Fabregas were both allowed to speak with the forward directly, with the permission of Barca. In the meantime, while Mourinho and Fabregas were working on Pedro, Semaan had made contact with the Spaniard’s wife, Carolina Martin, and talked to her about the deal and all that was included in the possible move to London and becoming a part of the Chelsea team. Fabregas, who was already good friends with Pedro from their time together at Barcelona and the Spanish national team, had a distinct advantage, negotiation-wise and with Semaan also already a close friend of Martin, the move was done with finesse and exacting timing. Mourinho, Granovskaia, Fabregas and Semaan finally managed to come to terms with a very good deal with Barca and, with Pedro convinced to forget all about Manchester United, were able to make the forward agree to move to Stamford Bridge. And play for the Chelsea team. A bold move that amounted to a resounding success for Chelsea. 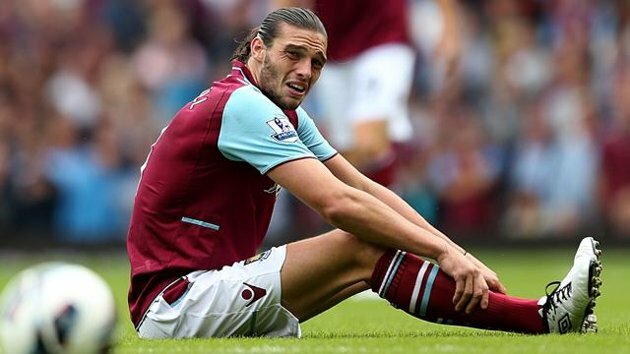 Up Next Andy Carroll injured leg, while putting his shoe on. Copyright © 2018 Olimpiu. Powered by ExpressCurate.